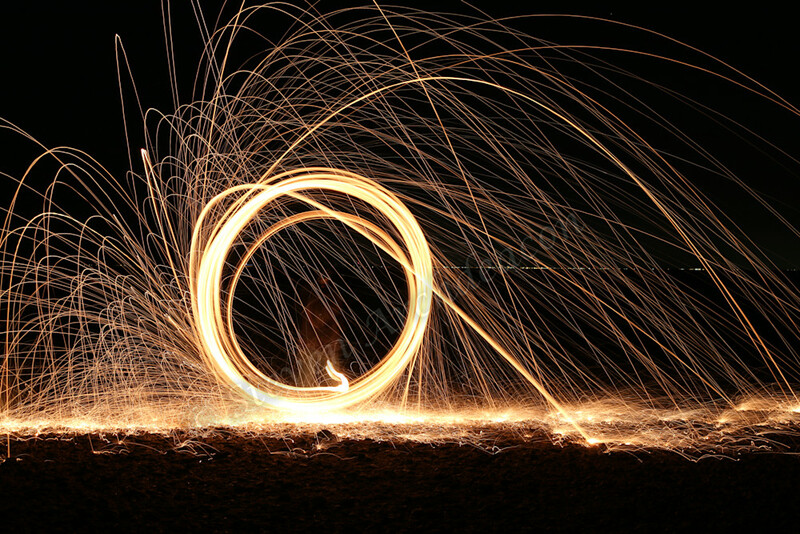 Steel Wool Photography with a cooking wisk. This is steel wool photography as you put steel wool in a cooking wisk, you attach a dog leash to the end of the wisk, and you light it on fire with a propane lighter (a grill lighter does not work). Then you spin it around while you do about a 20 second exposure while the camera is on a tripod. If you look closely in the center of the ring you can see my shadow very faintly. This picture was a lot of fun to shoot!